I didn’t have a clue which primer to buy. 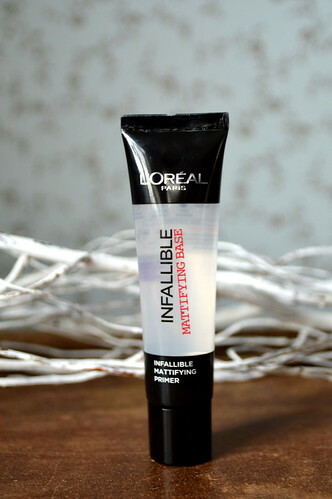 As I use a lot of L’Oréal Paris beauty products and as I am overall very satisfied with them, I went to the L’Oréal Paris section of my drugstore and ended up buying the Infallible Mattifying Primer. Read on to find out what I think about it! “Our first priming base in a gel that mattifies the skin. • Prepares and smoothes skin by minimising imperfections, pores and shine. • Instantly transforms skins texture for an even surface with velvet-soft touch. I put the primer on with my fingertips. The website suggests to put the primer on in an outward motion so when I remember I do it that way. Using this primer, makes my skin very soft and silkey. Creates a perfect base for my make-up! 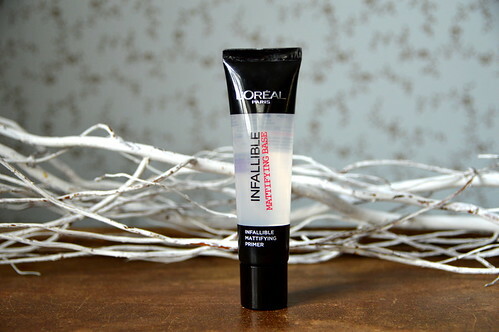 My make-up look lasts longer using this primer. The price: 15,99 EUR for a 45 ml tube. I really don’t like the smell of this primer!! Ugh… such a pity! Fortunately the yucky smell goes away quickly. It won’t prevent me from buying it again, but next time I want to try the Mac primer as I’ve heard that that’s a goodie! Other suggestions welcome! 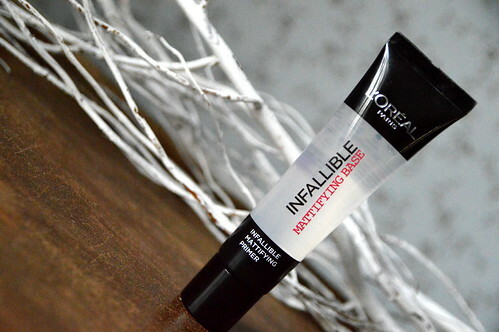 This entry was posted in Beauty, Make-up and tagged infallible mattifying base, l'oréal paris, make-up, primer.